Very similar to the culture vessels, culture tubes are used in plant tissue culture to grow plant tissue in a controlled environment. 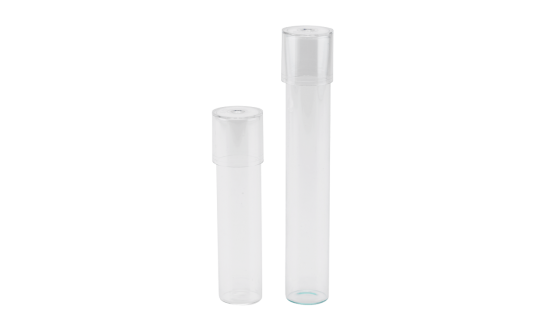 Culture tubes have a narrow high shape, in which you can easily place one plant cell. Contrastingly, the culture vessels are significantly wider and shorter, making room for many plant cells to grow together. Conical polystyrene (PS) model: DeWit type. Available non-sterile and sterile via gamma irradiation. Flat bottom glass model: available with 145 or 100 mm height and 24 mm dimension. Various round bottom glass tube models. Our flat bottom glass tubes can be bought together with additional (autoclavable) polycarbonate caps. 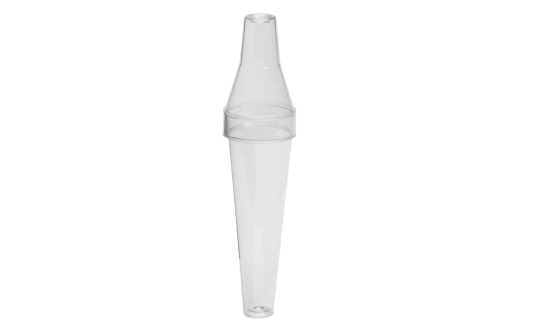 The conical shape of this PS tube (DeWit type) provides enough space for growth while using a minimal quantity of media. The flat bottom glass tubes are available in the heights 100 mm and 145 mm. The polycarbonate cap fits on both sizes. 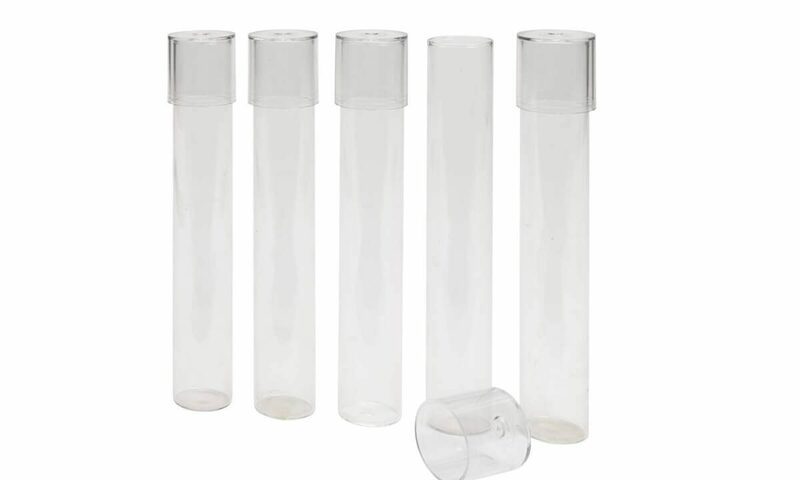 Glass tubes with polycarbonate cap and flat bottom.